Interest in the welfare of our planet demands an environmentally friendly food waste solution. In North America alone, our total landfill waste contains 30% and by some estimates, up to 40% food waste. Global goals to reduce food waste and new mandatory food waste programs have added weight to the problem of reducing food waste. Given the current global challenges we face, environmentally friendly food waste processors have attracted extraordinary attention worldwide. By utilizing industry-leading technology, ExBio continues to be at the forefront of food waste reduction with easy-to-use, safe and reliable, eco-friendly products. ExBio has developed solutions for decomposition and elimination of food waste. Exbio’s solutions are able to handle small to large kitchen based output and will handle large industrial scale food waste processing plants. ExBio has been producing Aerobic Food Digesters and the technology to power digestion for the home market in Korea and for the export market since 2007. With substantial market share and technology in the United States, Japan, China, Malaysia, Hong Kong, Singapore and many other countries in Europe and beyond, all of whom are highly focused on environmental issues, ExBio is already being recognized for its excellence in its technology worldwide and its contribution to global sustainability. ExBio NA, Inc. is the North American distribution channel of ExBio products in the United States and Canada. Our building in Davenport, Iowa is centrally located to service all of our customers. ExBio continues its research and development of its core technology to offer best in class products and innovative solutions, to satisfy its customers and to help provide a better environment for consumers around the world. Handles from 10KG to 10,000KG within 24 hours. Food waste is completely decomposed by Bio Star™, an agent developed by ExBio, as well as microorganisms that turn food waste into water and carbon dioxide, both of which go down the drain and into the sewers. Microscopic analysis of the surface reveals numerous pores that provide a favorable environment for microorganisms. It has a specific surface area of 1800㎛, which is larger than briquettes that can be measured at 500㎛. This means that Bio Star has a structure that can facilitate large quantities of microorganisms. Each pore is distributed evenly across the surface and the size fits well with the microorganisms. This structure prevents microorganisms from getting easily washed away when water is supplied from the outside. Enzyme 159 microbial sample was diluted in distilled water, applied on an LB plate culture medium, and cultured for 18 hours in a shaking incubator. 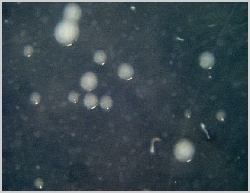 The number of microbial cells decreased after washing and increased after 2 hours of incubation. The number of cells decreased after being washed again and then increased by more than when cultured for 18 hours. The two types of cells isolated from the Enzyme 159 sample were cultured alone or mixed on an LB culture medium supplemented with Bio-Star. Results show that even after washing for 5 minutes at intervals of 2 hours, the original volume is restored after 18 hours. The raw material is an olefin-based resin approved by the US FDA. No soot is produced when burnt and resembles an innocuous candle burning. developed and produced by ExBio, is a medium-temperature microorganism, and it has optimal features for decomposing food. Stirring technology. Stirring is easy even with a low capacity energy efficient electric motor. Stirring efficiency is high which increases the decomposition rate. The rotating shaft of the product is positioned on the lower side at a 2.3-degree angle for optimal processing. Sealed Shaft Technology. The subordinate part of the shaft is hermetically sealed meaning there is no concern of leakage and the life span of motor and equipment is semi permanent. Drainage Feature. The straight shower nozzle developed by ExBio completely removes any sludge collected at the bottom. Due to this technology, the decomposed and treated water can be discharged without any blockage.